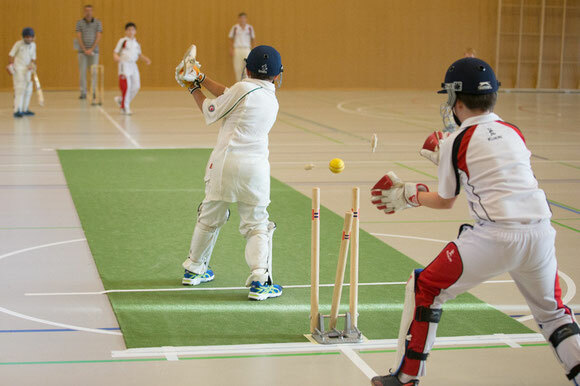 On the weekend of 8th - 9th November the 2014 Gingins U13 Autumn Tournament was held at the ESEP school in Borex/Crassier. 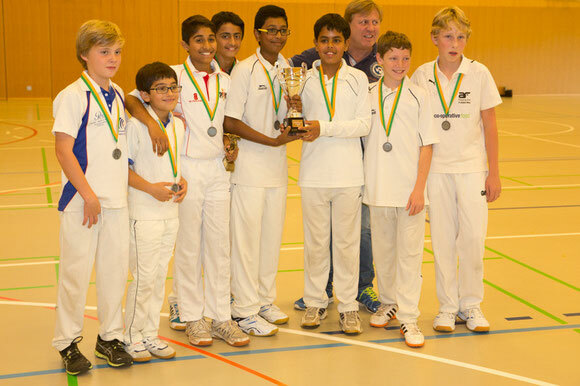 More than fifty U13s took part in this year’s tournament. There were six teams that competed for the honour of lifting the trophy, playing in a two pool format with each team in each pool playing each other in 15-overs-a-side matches to determine the semi-finalists in knock-out matches on Sunday morning. 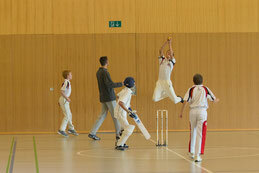 All the matches were all played in a great spirit and the competition was at a very high standard. Cossonay were very worthy winners of this year’s tournament; they were dominant in all their matches posting good totals and reducing the opposition quickly. Where we factored in that each match would be 30 overs (or 330 for the tournament), due to good bowling and fielding and/or aggressive batting, the matches were completed ahead of time. There were on average 190+ runs per match. That there were over 7.5 runs scored per over played, with about 5.2 of these coming off the bat. There was just a little more than one extra bowled per over. Very good overall. With an average of 10 dismissals per match, over 8 of these came from catches or run-outs. At this age level the players went after the matches. 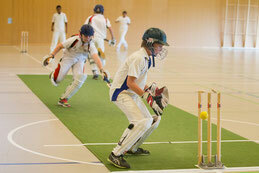 The bowlers tried very hard to get the ball in the correct spots and the batsmen were eager to make runs. It was a great contest between bat and ball. A few of the matches were extremely close, and the outcomes in most of the matches were anything but a foregone conclusion. However, the lists above only tell part of the story. Each player will have his/her own tales of triumph and perhaps anguish, which might not be captured here. Over the weekend some players recorded their first ever catch, run, wicket, run-out, etc., and for these youngsters, these are excellent achievements. Well done to the lads for winning the individual awards and to the Cossonay for taking the team honours. Aas developers of youth cricket, we want to observe more participation and to watch the joy and excitement as these experiences continue to unfold. There were many excellent efforts by individuals and teams, and it is great to see the pride and spirit with which the players approach the game; and friendships being built between players from different clubs. We hope to see all of the U13s again at the 2015 Gingins Autumn Tournament. Bob Barber was present during the final match on Saturday and came to the tournament dinner, at which he gave a memorable talk. He also presented the Bob Barber Awards to the recipients from each age category for the 2013-2014 season. This report is all about the kids, but the kid’s tournament would not happen if it were not for the dedicated parents and coaches who spend their time ensuring that the kids have an opportunity to play and to develop as players. A word of thanks and gratitude to the Gingins Parents, who have ensured that plenty of food and drink were freely available for all the people coming to the tournament.